No One Is ‘Anonymous’ To The Lord! LOS ANGELES :”…the violet-eyed film goddess whose sultry screen persona, stormy personal life and enduring fame and glamour made her one of the last of the old-fashioned movie stars and a template for the modern celebrity, died Wednesday at age 79. (Published: Wednesday, March 23, 2011. By David Germain, Associated Press). Many years ago I held a conversation with a member of my church. Somehow the conversation got on the subject of the impact of our lives on humanity. I somehow implied that I had not accomplished much with my life. He genuinely seemed shocked that I could say such a thing. He actually scolded me for thinking such. He reminded me of the important role I was playing in serving others through the church. He was right! Somehow I had mixed up the “honors of men” with doing the honorable work of the Lord. 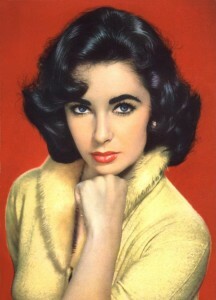 When the great screen legend Elizabeth Taylor died, her life story dominated the news. Her life was presented before us as a model of the life we should all desire to have. Her movie roles were extolled as “praiseworthy.” If we are not careful, we can find ourselves thinking that our lives are of little value to the world compared to such people of fame. But I was reminded many years ago by that church member that the value of our life is not measured by the honors of man. Our legacy will not be measured by the awards we win, the worldly deeds we have accomplished, or the wealth and power we have accumulated. The morning I re-read that note from that wonderfully kind new bride, I was taught anew that my wife and I weren’t anonymous to her, and that the true legacy we need to leave is best gauged by the love we give. More importantly, I was reminded that my wife and I were not anonymous to the Lord. We…are not anonymous to the Lord! When this young lady wrote us this note, I’m sure she didn’t think it would mean much. But, I am saving the note and I will re-read it from time to time. It will be a reminder to me that the world’s “anonymous” are not “anonymous” to the Lord. « Help! I’m Trapped In this Body!